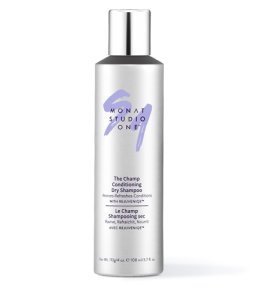 A leave-in pre-styling treatment that helps control frizz, and defends against humidity, for long-lasting definition, shine, and smoothness. To learn more about MONAT STUDIO ONE™ Frizz-Fix Smoothing Hair Primer, please contact your MONAT Market Partner. MONAT STUDIO ONE™ Frizz-Fix Smoothing Hair Primer creates a weightless, frizz-resistant shield that works as a long-lasting beautifying barrier to humidity. 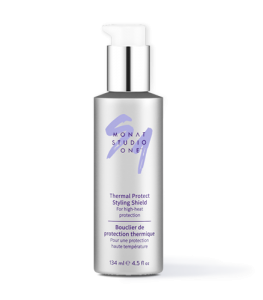 Used alone or prior to applying styling products, this smooth operator resists humidity for up to 12 hours. 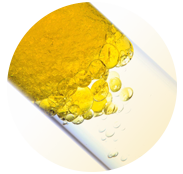 This pre-style primer packs an amino acid complex that nourishes and conditions. Advances in anti-frizz technology, and high-tech fixatives combine with a plant-derived silicone alternative to block humidity and smooth each strand without weighing it down, ultimately creating a frizz-free, sleeker look that holds throughout the day. To prep hair for styling, work small amount of product into hands and apply through damp hair. Style as desired using your favorite MONAT styling products.